You can’t come up with a much better example of non-toxic masculinity than firemen. They’re doing dirty, dangerous work and risking their lives to save other people. Yet and still…. A Sydney fire station has apologised after posting a controversial noticeboard message in response to Gillette’s recent headline-making advertisement. 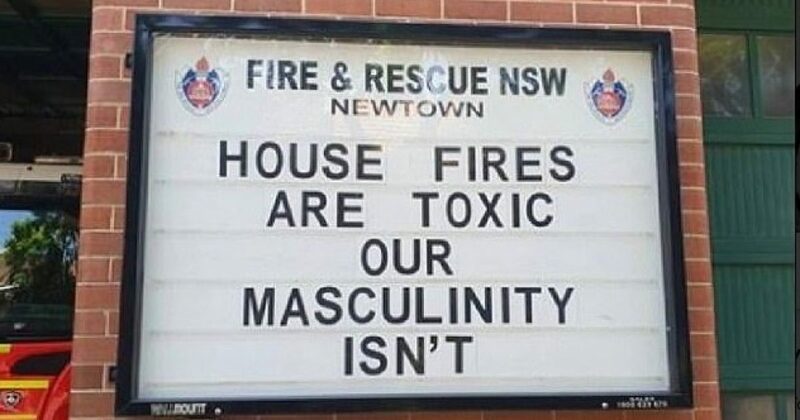 The Newtown Fire Station – known for its witty signs – put up a sign saying: “House fires are toxic, our masculinity isn’t” and posted a photo on Facebook. …A NSW Fire and Rescue Spokesman said the message was “not considered appropriate” for a public noticeboard. So we’re now at a point where even obvious examples of positive masculinity have to apologize for saying so because all men who haven’t been neutered and taught to act like defective women are bad. 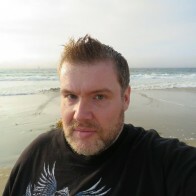 But, when you’re stuck in the burning building, do you want the manly man busting in with an ax to get you or the feminized guy who’s too busy sharing his feelings and waiting to turn his hose on because he doesn’t want to waste any more of Mother Earth’s precious tears than he has to in order to put out a fire?